Blogging is a perfect world to have existed on the internet. And it is those successful bloggers who are the finest bloggers t have grace the blogosphere. Indeed, no man wants to create a blog that will fall in a blink of an eye. But been successful is not just about taking action but taking necessary action. Blogging is tough and not predictable but with the right help you will make it in blogging. Here is the most asked question in blogging that will help you build a successful blog. 2. 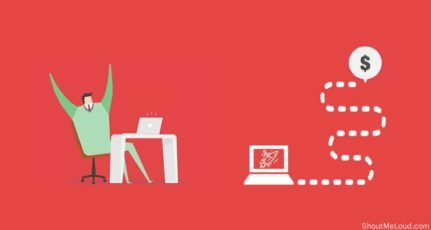 How often should you update your blog? One thing that is very important and define every blog is the ability to produce content on a regular basis. The content you produce is what define your target traffic, consistency and yourself. However, the question that most new bloggers ask is how to create a new content that no one has written before. But the truth is “there is no new content”. Yes, there is no new content. What do you want to write about that someone have not written? What you have to do to create content with uniqueness. Yeah, you can create a new content by giving out what you do yourself. Maybe in sense of case study or your experience. Always remember product may be the same, but experience always differ. You can also create a completely new content by creating a completely new product. In blogging, posting on a regular basis is of high priority. The amount of your post per week depends entirely on your chosen topic and your personality. But you must not make your blog boring and keep it alive as much as possible. Your post per week is entirely your’s but you must consider your readers, they are your blog. But in my opinion, you must post at least twice per week and also keep in touch with your readers. If not, you should maintain a posting schedule. 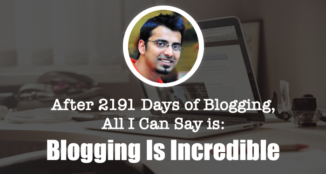 Learn how to master your blog publishing frequency here. 3. 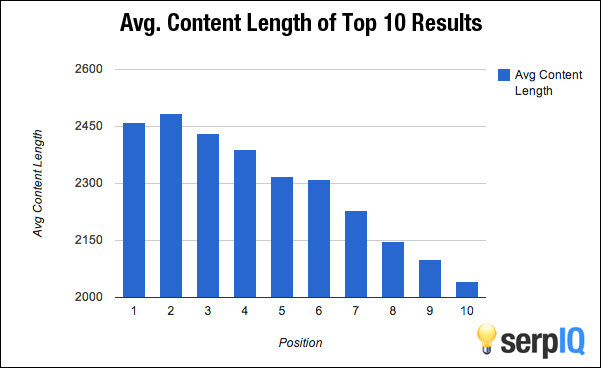 What should be the ideal length of your blog posts? This is the most argumentative topic out there. Some bloggers believe that long content convert best while some believe that short content helps the reader get the solution straight. But how long your content depends highly on your topic. 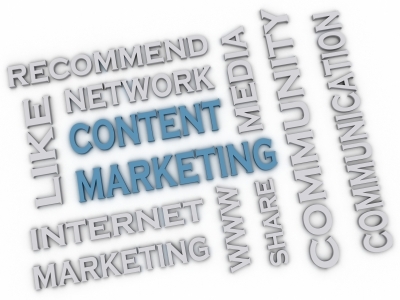 In blogging your content should not be less the 500 – 750 words. However, I prefer long content in the range of 1,000-2,000 words. The fact behind it is that when your content is long, your blog post will be detailed which helps readers a lot. But you must not be obsessed with how long it is, just make sure it delivers your point clearly. Traffic is what everyone wants. It is what keeps your blog alive. It is what keeps your spirit high as a blogger knowing somewhere, someone will hear your voice, and a number of your readers determines how long your voice will go. But the question here is not how do you get a thousand readers in 10 days but how loyal is that little traffic you have. Do they want to keep returning to your blog? Can they do a day without visiting your blog? That the kind of readers every blogger want and how you acquire them is what trouble most new bloggers. The thing here is that nobody will sign up to receive emails from you except they truth you, someone recommend you to them, they are completely loyal to you. You should read why focusing on the reader is more important than traffic & SEO. When building subscribers list there is no magic button, it just happens. So when you have a regular reader on your blog, you have to build your trust in them and give them an offer that is irresistible. That way you will not only have subscribers but loyal subscribers. The answer to this question is, YES. But it is important not to focus on making money instantly because it can kill your blog and harm your reputation online. When you build a blog, it must be on a long term basis (plan) which will make it a stream of income for you, make a good reputation and help readers. Should I add Google AdSense on my new blog? This is where most bloggers do their mistakes. 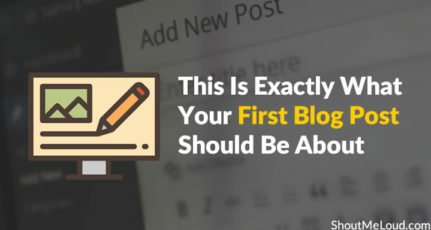 Your first post should describe a lot about you and how your blog will be like. Remember no one knows who you are. Most new bloggers start off with either a review post to make instant money or a blog post with a lot of affiliate links, but this will only harm your blog and reputation. So just make it simple and clear. Tell them who you are, what your topic is and how you are going to stay in touch. Before everything else, ensure you have your blog About page up & running. This page is most viewed page if done correctly & here you can know about the importance of about page. 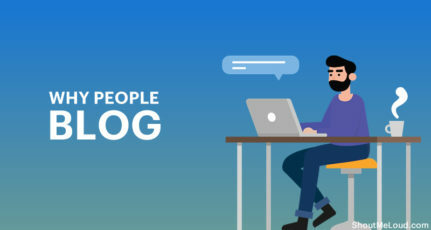 Your blog theme as a lot of effect on how you blog, your search engine ranking, your visitors and other components on your blog. 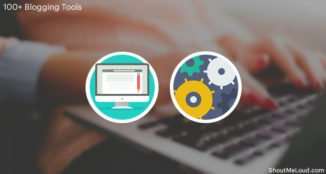 Most bloggers love Genesis Framework and child theme from Studiopress perhaps that what I use myself. But I just found a theme that can make a difference and makes me want to change my theme. It is Thrivetheme and I really love their themes and plug-ins. You can visit their website for more information. If your blog is new, then no one will want to guest post on it. It simple, it does not have any benefit to them. Bloggers guest post because they need more exposure, more subscribers and more backlinks. Before considering whether to accept guest post on your blog, you must have the offer to give out. Read: How you should be accepting guest post on your blog? I have always say that a man is no island of knowledge and when it comes to blogging, you just can’t survive by yourself. You will need help to scale your success. And when it comes to finding help, I normally find it in eBooks, from blogs and other resources but the most effective way to get help is to contact influential bloggers within your niche. They will be willing to help you out. You just have to shoot out an email to them. Although there are still a lot of questions out there but this is the most commonly asked questions by newbie bloggers. Let hear your thought in the comment box. You can also ask some new questions, and I will be more than willing to answer them. This guest post is contributed by Adremi. Want to contribute an awesome post for ShoutMeLoud bloggers community? Learn here about the guidelines for submitting original work. ADEREMI DARE is a money making blogger from Nigeria. However what actually motivates him is not making money but helping people build a successful blogging business on a long term basis. Apart from giving good advice, he is also passionate about computing technologies. 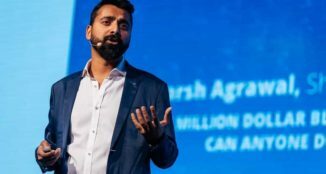 Great blog post and I totally agree with all questions.. Built the blog around the niche you love and can put passion into each blog post. The money will soon come along in do time. It takes lots of time to make decent money with a blog. Ya can’t snap a finger and you make money. It great to hear that from you. In fact it makes me wanna connect with you and share things together. I always tell new bloggers that your readers are first and above any other thing. When you achieve the gain of your readers trust then every other things follows and what I believe is that any slight mistake can damage your reputation. Afterall there are thousands of blogs out there. Hope you have a wonderful blogging journey. I wanaa add one more question..
My blog was down for 3 weeks and now all high ranking articles gone from first page of google. No articles are ranking in google…After recovery they are ranking to third page or second page.. So should I continue with blog or move to new blog. I mean will it be worth to continue with it? and It was 1 year old. I am really sorry to get to you late but the answer to your question is pretty straight forward. It is totally your decision to make. But I think you should continue with the same blog and make sure you contact your hosting support for more uptime or you move that same blog to another hosting service that have more uptime and features then your current one. Hi Aderemi Dare, I think the idea you shared in the article “10 Most Commonly Asked Blogging Question Answered For You ” is very helpful for bloggers like me. Thanks a lot. It really great to hear that this post is helpful for you. Hope I can do more to help you. I got Answers Of all My Questions. It nice to hear that you got Answers to all your questions. Hope it a great journey for you. Awesome and most awaited post. Thanks a ton, Aderemi. Great writing man, 10 Questions and answers can change any novice blogger to most professional blogger. Yea, Answering question will help a lot of novice and make Blogging a little bit easy for them and with the 10 answers to the questions in the Post, they are off to a great start. Very informative post. All your answers are quite right and useful to me. Your very right Aderemi that there is no new content, but there is new perspective. Also, in the beginning, I wouldn’t shy away from a bit of solid self liking either. Some people think that is weird that others like themselves or what they do. And I say, well, if I didn’t like it, I wouldn’t be doing it. It great to hear your thought. Building a solid foundation for blog through content in your own perspective is the best way to engage with your readers. Really loved reading this piece of article.Very informative.You almost cleared all my questions.And you made few beautiful points like there is no Fresh content.Yes i do believe that there is nothing like new or fresh content unless you are Scholar in research.whatever we gonna write that is already available across the internet. Then the only way we can make our content unique and intriguing is by writing our own experience not the one we heard, read or never experienced. Because many people might be using the same product but every single individual attitude towards it is different. May be narrating in our way we can make it unique and intriguing. I just want to say you that, you have covered the great question which are often asked by many newbie bloggers! Yes, recently i also faced a lot of question from my blog blog readers and social followers! They are were very interested to know the right answer which can fulfill their needs! And, i delivered them best! Anyway, thanks a lot for sharing this awesome post with us! Definitely love these question and it’s great to have them. Making money at first could be a major mistake element to focus on. I have started the blog “http://www.bornengr.com/” but I found that the same title website is already exist “https://www.borntoengineer.com/” now I am confused that is there any copyright or trademark issue, or can be happen any problem in future to me about this? Please help me to overcome this confusion.